(a) Assist and educate members to effectively use computers, computer accessories and software by holding frequent seminars and classes. (b) Facilitate the legitimate exchange of computer programs. (c) Acquire and maintain educational software and publication reference libraries. (d) Provide information to the computer industry on hardware and software issues. (e) Sponsor and fund awards to the Ventura County Youth Science Fair and similar educational activities. (f) Provide and maintain a Web Site for use of the Group's members. The corporation shall have nine Directors and collectively they shall be known as the Board of Directors . The number may be changed by amendment of this Bylaw, or by repeal of this Bylaw and adoption of a new Bylaw, as provided in these Bylaws. Membership of the Board of Directors shall consist of: President, Vice-President, Secretary, Treasurer, Immediate Past President, Membership Chair, SIG Chair, Web/ISP Chair, and Technical Advisor. Each director except for the President shall hold office until the next annual meeting for election of the Board of Directors as specified in these Bylaws, and until his or her successor is elected and qualifies. The President's term of office shall be for a period of 2 years. The President shall not serve consecutive terms. Notwithstanding any other provision of these Bylaws, all Directors must be members of the Corporation and elected by the membership of the Corporation. Meetings shall be held at such place within State of California which has been designated from time to time by resolution of the Board of Directors. Any meeting, regular or special, may be held by conference telephone or similar communications equipment, so as long as all directors participating in such meeting can hear one another. Regular meetings of Directors shall be held no later than two weeks after the regular monthly membership meeting at a location and time as designated by the Board of Directors. Special meetings of the Board of Directors may be called by the President, the Vice President, the Secretary, or by any two directors, and such meetings shall be held at the place, within or without the State of California, designated by the person or persons calling the meeting, and in the absence of such designation, at the principal office of the corporation. Regular meetings of the board shall be on dates and at times determined by the Board of Directors. Special meetings of the board shall be held upon four (4) days' notice by first-class mail or forty-eight (48) hours' notice delivered personally or by telephone or email. If sent by mail or email, the notice shall be deemed to be delivered on its deposit in the mails or on its electronic transmission. Such notices shall be addressed to each director at his or her address as shown on the books of the corporation. Notice of the time and place of holding an adjourned meeting need not be given to absent directors if the time and place of the adjourned meeting are fixed at the meeting adjourned and if such adjourned meeting is held no more than twenty-four (24) hours from the time of the original meeting. Notice shall be given of any adjourned regular or special meeting to directors absent from the original meeting if the adjourned meeting is held more than twenty-four (24) hours from the time of the original meeting. A quorum shall consist of five Directors. Except as otherwise provided in these Bylaws or in the Articles of Incorporation of this corporation, or by law, no business shall be considered by the board at any meeting at which a quorum, as hereinafter defined, is not present, and the only motion which the Chair shall entertain at such meeting is a motion to adjourn. However, a majority of the directors present at such meeting may adjourn from time to time until the time fixed for the next regular meeting of the board. When a meeting is adjourned for lack of a quorum, it shall not be necessary to give any notice of the time and place of the adjourned meeting or of the business to be transacted at such meeting, other than by announcement at the meeting at which the adjournment is taken, except as provided in Section 10 of this Article. The directors present at a duly called and held meeting at which a quorum is initially present may continue to do business not withstanding the loss of a quorum at the meeting due to a withdrawal of directors from the meeting, provided that any action thereafter taken must be approved by the required quorum for such meeting or such greater percentage as may be required by law, or the Articles of Incorporation or Bylaws of this corporation. Every act or decision done or made by the directors present at a meeting duly held at which a quorum of five (5) directors is present or a majority of directors when more than five (5) are present is the act of the Board of Directors, unless the Articles of Incorporation or Bylaws of this corporation, or provisions of the California Nonprofit Public Benefit Corporation Law, particularly those provisions relating to appointment of committees (Section 5212), approval of contracts or transactions in which a director has a material financial interest (Section 5233) and indemnification of directors (Section5238e), require a greater percentage or different voting rules for approval of a matter by the board. Meetings of the Board of Directors shall be presided over by the President of the corporation or, in his or her absence, by the Vice President of the corporation or, in the absence of each of these persons, by a Chairperson chosen by a majority of the directors present at the meeting. The Secretary of the corporation shall act as secretary of all meetings of the board, provided that, in his or her absence, the presiding officer shall appoint another person to act as secretary of the Meeting. Meetings shall be governed by Robert's Rules of Order, as such rules may be revised from time to time, insofar as such rules are not inconsistent with or in conflict with these Bylaws, with the Articles of Incorporation of this corporation, or with provisions of law. Vacancies on the Board of Directors shall exist (1) on the death, resignation or removal of any director, (2) whenever the number of authorized directors is increased and when the term of any Director is complete resulting in an annual election by the membership. Directors may be removed without cause by majority vote if the membership is less than fifty (50) or, if the corporation has fifty (50) or more members, by vote of a majority of the votes represented at a membership meeting at which a quorum is present. Any director may resign effective upon giving written notice to the Chairperson of the Board, the Secretary, or the Board of Directors, unless the notice specifies a later time for the effectiveness of such resignation. No director may resign if the corporation would then be left without a duly elected director or directors in charge of its affairs, except upon notice to the Attorney General. Vacancies on the board may be filled by approval of the members. The members of this corporation may elect a director at anytime to fill any vacancy not filled by the directors. The officers of the corporation shall be President, Vice President, Secretary, immediate Past President, and Chief Financial Officer who shall be designated the Treasurer. These officers shall be known as the Executive Committee of the Board of Directors. Assistant Secretaries, Assistant Treasurers, other officers or committee chairs shall be appointed by the Board of Directors as required. Neither the Secretary nor the Treasurer may serve as the President or Chairperson of the Board. Any member may serve as an officer of this corporation. Officers/Directors shall be elected by the membership and each officer shall hold office for one year or until he or she resigns or is removed or is otherwise disqualified to serve, or until his or her successor shall be elected and qualified, whichever occurs first. The President shall be elected to hold office for a period of two years, and may not serve a consecutive term. The immediate Past President shall likewise serve for a period of two years. Any officer may be removed, either with or without cause, by the Board of Directors or a majority of the membership, at any time. Any officer may resign at any time by giving written notice to the Board of Directors or to the President or Secretary of the corporation. Any such resignation shall take effect at the date of receipt of such notice or at any later date specified therein, and, unless otherwise specified therein, the acceptance of such resignation shall not be necessary to make it effective. The above provisions of this Section shall be superseded by any conflicting terms of a contract which has been approved or ratified by the Board of Directors relating to the employment of any officer of the corporation. Any vacancy caused by the death, resignation, removal, disqualification, or otherwise, of any officer prior to the annual election of officers shall be filled by the Board of Directors. In the event of a vacancy in any office other than that of President, such vacancy may be filled temporarily by appointment by the President until such time as the Board shall fill the vacancy. Vacancies occurring in offices of officers appointed at the discretion of the Board may or may not be filled, as the board shall determine. The President shall be the Chief Executive Officer of the corporation and shall, subject to the control of the Board of Directors, supervise and control the affairs of the corporation and the activities of the officers. He or she shall perform all duties incident to his or her office and such other duties as may be required by law, by the Articles of Incorporation of this corporation, or by these Bylaws, or which may be prescribed from time to time by the Board of Directors. Unless another person is specifically appointed as Chairperson of the Board of Directors, he or she shall preside at all meetings of the Board of Directors. The President, or in his/her absence an elected officer, shall preside at all meetings of the members. Except as otherwise expressly provided by law, by the Articles of Incorporation, or by these Bylaws, he or she shall, in the name of the corporation, execute such deeds, mortgages, bonds, contracts, checks, or other instruments which may from time to time be authorized by the Board of Directors. Keep at the principal office of the corporation or at such other place as the Board may determine, a book of minutes of all meetings of the directors, and, if applicable, meetings of committees of directors and of members, recording therein the time and place of holding, whether regular or special, how called, how notice thereof was given, the names of those present or represented at the meeting, and the proceedings thereof. See that all notices are duly given in accordance with the provisions of these Bylaws or as required by law. Exhibit at all reasonable times to any director of the corporation, or to his or her agent or attorney, on request therefore, the Bylaws, the membership book, and the minutes of the proceedings of the directors of the corporation. Render to the President and directors, whenever requested, an account of any or all of his or her transactions as Treasurer and of the financial condition of the corporation. Prepare, or cause to be prepared, and certify, or cause to be certified, the financial statements to be included in any required reports. In general, perform all duties incident to the office of Treasurer and such other duties as may be required by law, by the Articles of Incorporation of the corporation, or by these Bylaws, or which may be assigned to him or her from time to time by the Board of Directors. Prepare and submit completed copies of forms and reports required by governmental agencies. No salary or compensation is provided for any Director or Officer of the Corporation. The Executive Committee of the Board of Directors shall consist of the President, Vice-President, Secretary, Treasurer, and immediate Past President. Both the Board of Directors and the Executive Committee are restricted in their powers when the following apply: (a) The approval of any action which, under law or the provisions of these Bylaws, requires the approval of the members or of a majority of all of the members. (b) The amendment or repeal of Bylaws or the adoption of new Bylaws. (c) The amendment or repeal or any resolution of the board which by its express terms is not so amendable or repealable. (d) The expenditure of corporate funds to support a nominee for director after there are more people nominated for director than can be elected. (e) The approval of any transaction to which this corporation is a party and in which one or more of the directors has a material financial interest, except as expressly provided in Section 5233(d)(3) of the California Nonprofit Public Benefit Corporation Law. Except as otherwise specifically determined by resolution of the Board of Directors, or as otherwise required by law, checks, drafts, promissory notes, orders for the payment of money, and other evidence of indebtedness of the corporation shall be signed by the Treasurer. When the amount exceeds $1,000, a countersign by the President of the corporation is required. (a) To inspect the record of all members' names, addresses and voting rights, at reasonable times, upon five (5) business days' prior written demand on the corporation, which demand shall state the purpose for which the inspection rights are requested. 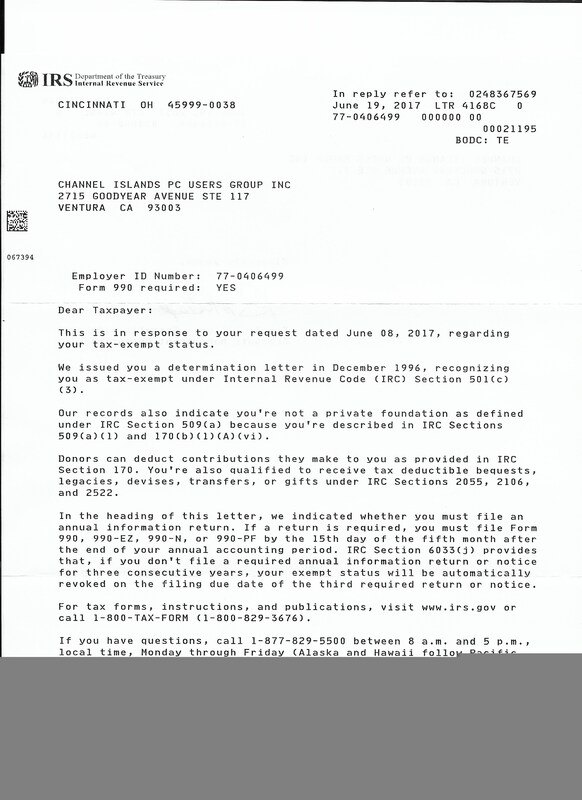 If this corporation receives TWENTY-FIVE THOUSAND DOLLARS ($25,000), or more, in gross revenues or receipts during the fiscal year, this corporation shall automatically send the above annual report to all members, in such manner, at such time, and with such contents, including an accompanying report from independent accountants or certification of a corporate officer, as specified by the above provisions of this Section relating to the annual report. The fiscal year of the corporation shall begin on July 1st and end on June 30th each year. Subject to any provision of law applicable to the amendment of Bylaws of public benefit nonprofit corporations, these Bylaws, or any of them, may be altered, amended, or repealed and new Bylaws adopted as follows: (a) Subject to the power of members to change or repeal these Bylaws under Section 5150 of the Corporations Code, by approval of the Board of Directors unless the Bylaw amendment would materially and adversely affect the rights of members as to voting or transfer, then a Bylaw specifying or changing the fixed number of directors of the corporation, the maximum or minimum number of directors, or changing from a fixed to variable board or vice versa, may not be adopted, amended, or repealed except as provided in subparagraph (b) of this Section; or (b) By approval of the members of this corporation. Amendments of the Articles of Incorporation may be adopted by the approval of the Board of Directors and by the approval of the members of this corporation. Notwithstanding the above sections of this Article, this corporation shall not amend its Articles of Incorporation to alter any statement which appears in the original Articles of Incorporation of the names and addresses of the first directors of this corporation nor the name and address of its initial agent, except to correct an error in such statement or to delete either statement after the corporation has filed a "Statement by a Domestic Non-Profit Corporation" pursuant to Section 6210 of the California Nonprofit Corporation Law. Applicants shall be admitted to membership on payment of the application fee and dues for the first year. (a) Fees charged for making application for membership in the corporation: shall be set by the Board of Directors, approved by the general membership, published in TOE, and listed on the CIPCUG Web Site. (b) The annual dues payable to the corporation by members shall be set by the Board of Directors, approved by the general membership, published in TOE, and listed on the CIPCUG Web Site. (c) Memberships shall be non-assessable. The corporation shall keep a membership book containing the name and address of each member. Termination of the membership of any member shall be recorded in the book, together with the date of termination of such membership. Such book shall be kept at a convenient location and shall be available for inspection by any member of the Board or member of the corporation during regular business hours. (1) Upon his or her notice of such termination delivered to the President, Secretary or Membership Chairperson of the corporation personally or by mail, such membership to terminate upon the date of delivery of the notice or date of deposit in the mail. (2) Upon a determination by the Board that the member has engaged in conduct materially and seriously prejudicial to the interests or purposes of the corporation. (3) If this corporation has provided for the payment of dues by members, upon a failure to renew his or her membership by paying dues on or before their due date, such termination to be effective sixty (60) days after a written notification of delinquency is given personally or mailed to such member by the Membership Chairperson of the corporation. A member may avoid such termination by paying the amount of delinquent dues within a sixty (60)-day period following the member's original due date for dues. (1) A notice shall be sent by first-class or registered mail to the last address of the member as shown on the corporation's records, setting forth the expulsion and the reasons therefore. Such notice shall be sent at least fifteen (15) days before the proposed effective date of the expulsion. (2) The member being expelled shall be given an opportunity to be heard, either orally or in writing, at a hearing to be held not less than five (5) days before the effective date of the proposed expulsion. The hearing will be held by the Board in accordance with the quorum and voting rules set forth in these Bylaws applicable to the meetings of the Board. The notice to the member of his or her proposed expulsion shall state the date, time, and place of the hearing on his or her proposed expulsion. (3) Following the hearing, the Board shall decide whether or not the member should in fact be expelled, suspended, or sanctioned in some other way. The decision of the Board shall be final. (4) If this corporation has provided for the payment of dues by members, any person expelled from the corporation shall receive a refund of dues already paid. The refund shall be pro-rated to return only the balance remaining for the period of the dues payment. All rights of a member in the corporation shall cease on termination of membership as herein provided. SECTION 12.11 AMENDMENTS RESULTING IN THE TERMINATION OF MEMBERSHIPS Notwithstanding any other provision of these Bylaws, if any amendment of the Articles of Incorporation or of the Bylaws of this corporation would result in the termination of all memberships or any class of memberships, then such amendment or amendments shall be effected only in accordance with the provisions of Section 5342 of the California Nonprofit Public Benefit Corporation Law. Guests are welcome to attend the regular monthly meetings of the club for up to two (2) meetings. Guests wishing to attend additional meetings must pay the membership fee and join the club. Meetings of members shall be held at the principal office of the corporation or at such other place or places within or without the State of California as may be designated from time to time by resolution of the Board. The members shall meet annually on the fourth Saturday morning in May each year, or as designated by the Board with at least 30 days notice to members, at the regular meeting place, for the purpose of electing officers and transacting other business as may come before the meeting. Cumulative voting for the election of officers shall not be permitted. The candidates receiving the highest number of votes up to the number of officers to be elected shall be elected. Each voting member shall cast one vote, with voting being by ballot, show of hands, or electronic ballot. The annual meeting of members for the purpose of electing officers shall be deemed a regular meeting and any reference in these Bylaws to regular meetings of members refers to this annual meeting. Other regular meetings of the members shall be held on the fourth Saturday of each month at 9:30 A.M. or as designated by the Board, with at least 15 days notification to members. If the day fixed for the annual meeting or other regular meetings falls on a legal holiday, such meeting shall be held at the same hour and place on the next Saturday available. (a) Persons Who May Call Special Meetings of Members. Special meetings of the members shall be called by the Board or the President of the corporation. In addition, special meetings of the members for any lawful purpose may be called by five percent (5%) or more of the members. (a) Time of Notice. Whenever members are required or permitted to take action at a meeting, a written notice of the meeting shall be given by the Secretary of the corporation not less than ten (10) nor more than ninety (90) days before the date of the meeting to each member who, on the record date for the notice of the meeting, is entitled to vote thereat, provided, however, that if notice is given by mail, and the notice is not mailed by first-class, registered, or certified mail, that notice shall be given twenty (20) days before the meeting. Such notice may be given by inclusion in the appropriate edition of TOE. Notice may also be given by the President or other presiding official, at the general meeting which precedes the meeting at which votes will be taken. (b) Manner of Giving Notice. Notice of a members' meeting or any report shall be given either personally or by mail or other means of written communication, addressed to the member at the address of such member appearing on the books of the corporation or given by the member to the corporation for the purpose of notice; or if no address appears or is given, at the place where the principal office of the corporation is located or by publication of notice of the meeting at least once in a newspaper of general circulation in the county in which the principal office is located. Notice shall be deemed to have been given at the time when delivered personally or deposited in the mail or sent by other means of written communication. (c) Contents of Notice. Notice of a membership meeting shall state the place, date, and time of the meeting and (1) in the case of a special meeting, the general nature of the business to be transacted, and no other business may be transacted, or (2) in the case of a regular meeting, those matters which the Board, at the time notice is given, intends to present for action by the members. Subject to any provision to the contrary contained in these Bylaws, however, any proper matter may be presented at a regular meeting for such action. The notice of any meeting of members at which officers are to be elected shall include the names of all those who are nominees at the time notice is given to members. (d) Notice of Meetings Called by Members. If a special meeting is called by members as authorized by these Bylaws, the request for the meeting shall be submitted in writing, specifying the general nature of the business proposed to be transacted and shall be delivered personally or sent by registered mail to the President, Vice President or Secretary of the corporation. The officer receiving the request shall promptly cause notice to be given to the members entitled to vote that a meeting will be held, stating the date of the meeting. The date for such meeting shall be fixed by the Board and shall not be less than thirty-five (35) nor more than ninety (90) days after the receipt of the request for the meeting by the officer. If the notice is not given within twenty (20) days after the receipt of the request, persons calling the meeting may give the notice themselves. A quorum shall consist of one fifth (1/5) of the membership of the corporation. Notwithstanding any other provision of this Article, if this corporation authorizes members to conduct a meeting with a quorum of less than one-fifth (1/5) of the voting power, then, if less than one-fifth (1/5) of the voting power actually attends a regular meeting, in person or by proxy, then no action may be taken on a matter unless the general nature of the matter was stated in the notice of the regular meeting. Each member is entitled to one vote on each matter submitted to a vote by the members. Voting for changes to the Constitution and Bylaws shall be by ballot, including electronic ballot. Election of officers may be by ballot. Voting at duly held meetings may be either by voice vote or by ballot, including electronic ballot as follows: Electronic voting may be done by a ballot sent to the membership via email and returned to the Secretary of the Corporation or such other person designated by the Secretary, or by voting a ballot on the club’s Web Site. The Secretary and the Web Site Administrator or such other persons as appointed by the Board of Directors shall count the electronic ballots. Each electronic ballot must include first and last name and membership number. Electronic voting shall be made available during the period from fourteen (14) days prior to the monthly business meeting until four (4) days prior to such meeting. At the business meeting, members will sign attendance sheets, and will be issued a written ballot if they are not on record as having voted electronically. Members entitled to vote may not be permitted to vote or act by proxy. Meetings of members shall be presided over by the President of the corporation or if the President is not available, in his or her absence, by the Vice President of the corporation or, in the absence of all of these persons, by a Chairperson chosen by a majority of the voting members, present in person or by proxy. The Secretary of the corporation shall act as Secretary of all meetings of members, provided that, in his or her absence, the presiding officer shall appoint another person to act as Secretary of the meeting. Meetings shall be governed by Roberts Rules of Order, as such rules may be revised from time to time, insofar as such rules are not inconsistent with or in conflict with these Bylaws, with the Articles of Incorporation of this corporation, or with any provision of law. Officers may be elected by written ballot. Such ballots for the election of officers shall list the persons nominated at the time the ballots are mailed or delivered. If any such ballots are marked "withhold" or otherwise marked in a manner indicating that the authority to vote for the election of officers is withheld, they shall not be counted as votes either for or against the election of an officer. A written ballot may not be revoked after its receipt by the corporation or its deposit in the mail, whichever occurs first. The term “written ballot” is understood to include an appropriately devised electronic ballot. (a) A reasonable means of nominating persons for election as officers. 2. Obtain from the Membership Chairperson, upon written demand, a list of the names, addresses and voting rights of those members entitled to vote for the election of officers, as of the most recent record date for which it has been compiled or as of any date specified by the nominee subsequent to the date of demand. If the corporation distributes any written election material soliciting votes for any nominee for officer at the corporation's expense, it shall make available, at the corporation's expense, to each other nominee, in or with the same material, the same amount of space that is provided any other nominee, with equal prominence, to be used by the nominee for a purpose reasonably related to the election. Generally, any person who is qualified to be elected to the Board shall be nominated at the annual meeting of members held for the purpose of electing officers by any member present at the meeting in person or by proxy. However, if the corporation has five hundred (500) or more members, any of the additional nomination procedures specified in subsections (a) and (b) of Section 5221 of the California Nonprofit Public Benefit Corporation Law may be used to nominate persons for election to the Board. If this corporation has five thousand (5,000) or more members, then the nomination and election procedures specified in Section 5522of the California Nonprofit Corporation Law shall be followed by this corporation in nominating and electing persons to the Board. We, the undersigned, are all of the persons named as the initial directors in the Articles of Incorporation of Channel Islands PC Users Group, Incorporated, a California nonprofit corporation, and, pursuant to the authority granted to the directors by these Bylaws to take action by unanimous written consent without a meeting, consent to, and hereby do, adopt the foregoing Bylaws, consisting of 23 pages, as the Bylaws of this corporation. While the Channel Islands PC Users Group was chartered as a 501 (C) (3) Corporation on April 5, 1996, the bylaws have been amended, most recently in 2005. The Bylaws to the left are the most recent approved version.